There seems to a consensus on the idea that Cristiano Ronaldo has been maturing and turning into a less selfish player over the last years. Late this week, Bernd Schuster and Jorge Valdano talked about the Portuguese superstar and both pointed out how Ronaldo has been changing in the last years. Bernd Schuster (former Real Madrid coach) and Jorge Valdano (former Real Madrid director) are two persons perfectly identified with Real Madrid's mystique. They both agree that Cristiano Ronaldo carries a lot of weight on his shoulders, due to the responsability inherent to his world star player status, but they've outlined how Ronaldo is turning into a less selfish player, as time keeps passing. Nonetheless, Cristiano Ronaldo doesn't appear to be getting tired of scoring goals, as he remains fighting with Barcelona's Lionel Messi in La Liga's top goalscorer standings. Jorge Valdano reffered to that phenomenon as a specific pattern in Cristiano Ronaldo's nature, which probably will never change. Valdano: "He has a special relationship with scoring goals and that's not going to change. ", said the Argentinian. Valdano then stated an example on which CR7 proved he's not as selfish as before: "However, he's turning into a less selfish player, and he was exceptional in his last match against Espanyol, where he assisted to Callejón for goal, from a play where we could all feel he was tempted to strike the ball. 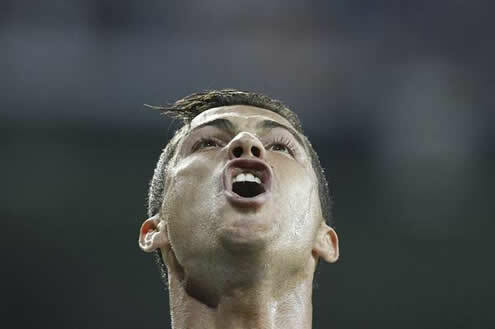 But it's important to note that Cristiano Ronaldo's eye for goal remains untouched and being fantastic. ", said Valdano to "El Larguero", a radio show from the Spanish station "Cadena Ser". Another important figure in Real Madrid's recent history is Bernd Schuster, who is currently unemployed and never had the chance to coach Cristiano Ronaldo. However, those facts don't seem to stand in his way when it comes to make a few remarks on Ronaldo's development and changes. Schuster: "I'm happy that Cristiano Ronaldo finally started to change. It's better late than never. I hope that he has learned something from these 2 years he has in Real Madrid. He's realizing that playing all by himself, in one-on-one situations, don't lead him anywhere." Schuster kept on the same note and added: "Cristiano Ronaldo is a great player and now we can all enjoy the fact that he's also helping more his teammates, by assisting them for goals. He used to be very individualistic and selfish, because he played in a sort of an isolated way from the rest of the team." said Schuster to Spanish radio "Punto", before finishing his comments: "I'm not sure who has been helping Ronaldo to change, or if that has been a natural process, but it's clear that he now thinks a lot more about his teammates and in assisting them. He's not exclusively focused in dribbling and scoring anymore, which is definately a positive note." After Portugal's victory against Iceland by 5-3, Cristiano Ronaldo is now preparing the important match against Denmark, scheduled for this Tuesday (11-10-2011). 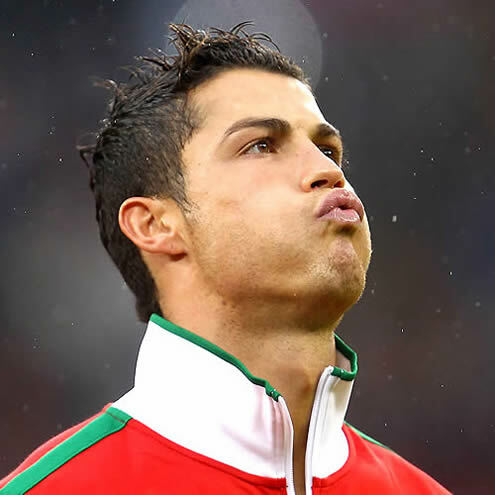 You can watch Denmark vs Portugal live streams, in our Football Live Streams section. The countdown clock timer, displaying the time left for the next Ronaldo game, is shown on the top right corner of all pages. This Tuesday, you'll also be able to watch Spain vs Scotland live streams. Next Saturday, the Premier League returns and you can follow the big rivalry clash between Liverpool vs Manchester United online. All streamings are provided from our "Live" section.